PCS has not changed its national pay claim for a number of years; despite Brexit, the election of Donald Trump, increased inflation etc., our claim still remains 5% or £1,200; the only constant in a changing world. The PCS Independent Left thinks a better claim must be developed. And the the application of time based contractual progression pay of not more than five years for all other grades. The move to national pay rates should not be at the expense of the real living standards of better paid members in the various grades: all members wherever they work must have their living standards protected and improved on the basis of “inflation plus” awards each year (not least to catch up on the years of decline) albeit the “plus” will have to vary to enable members in the lower paying areas to catch up with better paid members at the same grade. A defined and contractually binding “minimum ratio” should be developed between the salary and bonus levels of the various grades of civil service staff up to Permanent Secretary (i.e. the highest paid employee in the civil service can never earn Y times more than the lowest paid although the ratio might from time to time be less). Of the shopping list above, the demand for equal pay is key. Most PCS members are unaware of the great differences in pay, sometimes running in the thousands of pounds, for civil servants at the same grade. Therefore a claim of equal pay is much more ambitious that our standard claim. But let’s compare and contrast a pay campaign that asks for 5% or £1,200 to one that asks for equal pay. Members hopefully would agree that a 5% etc. increase would be good and indeed deserved but they might think it unrealistic and so not achievable and therefore possibly not one they could fight for. 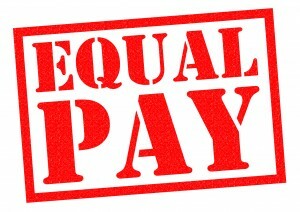 Psychologically though, it is easier to campaign for equal pay, to achieve something that already exists, for fairness, than just to ask for 5% or £1,200 – though in reality the effect of equal pay would be a greater increase for many. Of course there are possible legal remedies to win equal pay; there are none to win a 5% increase. Critically even if we did win 5% or £1,200 that would still would leave many in the same grade on unequal pay. If we won a 5% increase that would in fact increase unequal pay; 5 % for better paid EOs would mean them moving further away from lesser paid EOs who also get 5%. Therefore the IL wants to change the structure of pay and not just aim for an abstract number that has no grip on the reality of the world. That is why the starting point has to be a demand for equal pay.